Thanksgiving is barely over a week away so we have our ultimate round up for you guys, including vegetarian and vegan options! 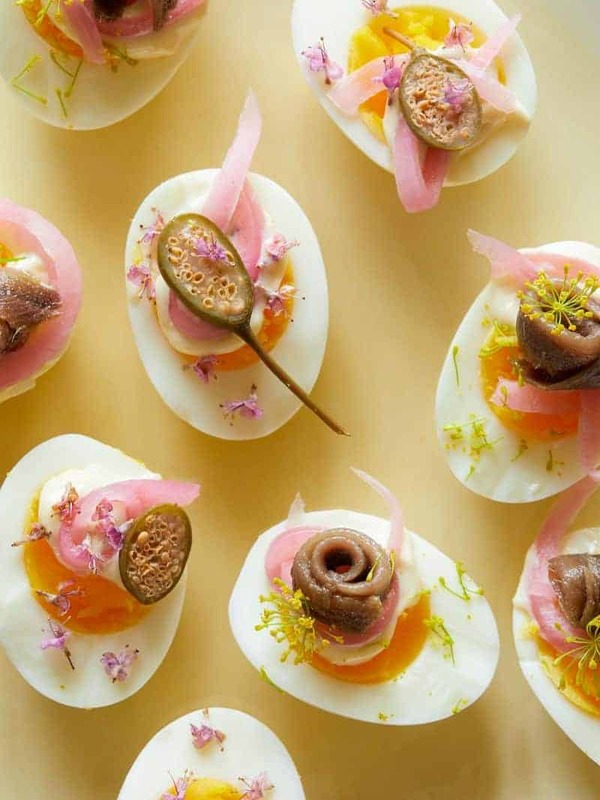 – These Undeviled Eggs are ALWAYS a hit, a simplified way to serve the og version and can be topped with just about any yummy, pickle-y thing! 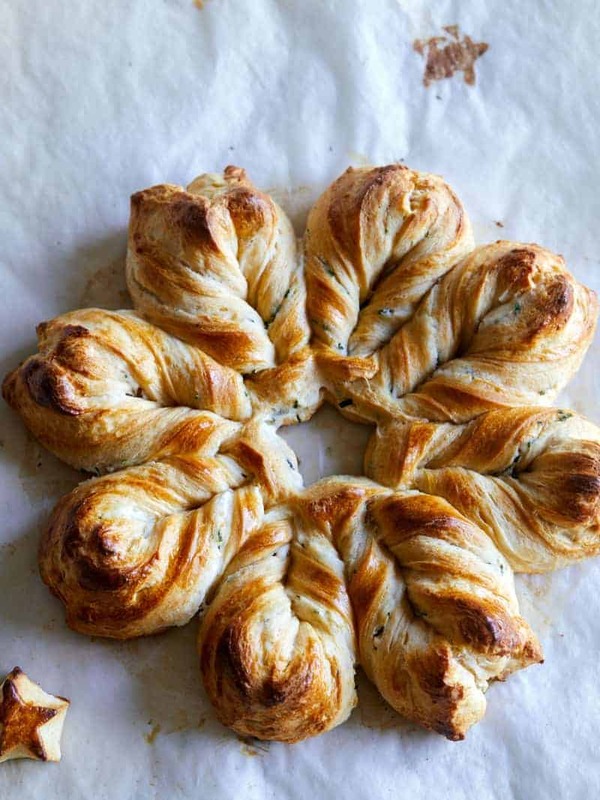 – This Herb and Cheese Braided Star Bread is another great make ahead dish that looks super impressive, but is actually so easy to throw together and tastes delicious! 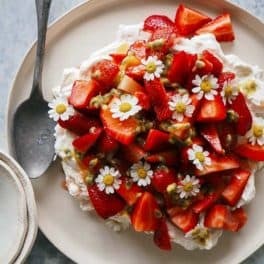 You can make this whole thing ahead of time, freeze it and pop it in the oven right before your guests arrive! 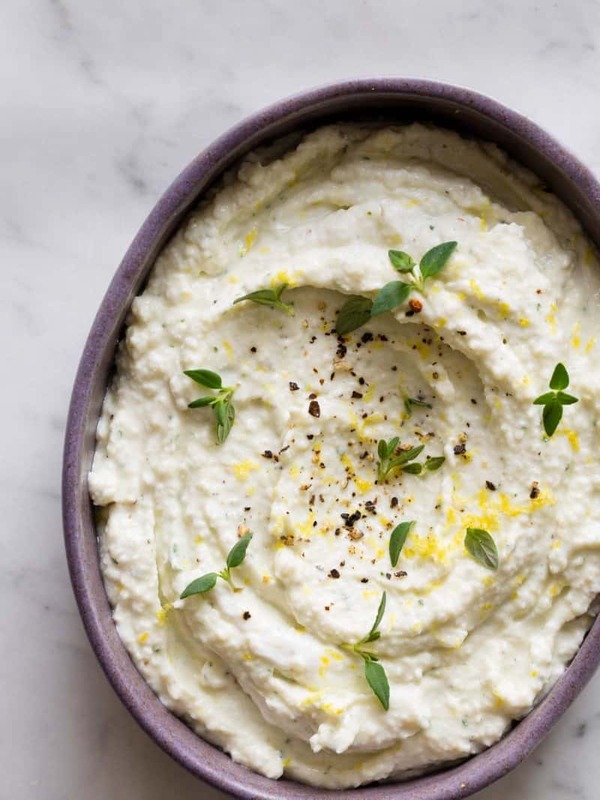 – One of our favorite dips for a crowd is this Black Pepper and Lemon Asiago Dip! We love to serve it with a variety of crackers as well as a bunch of fresh crudité! 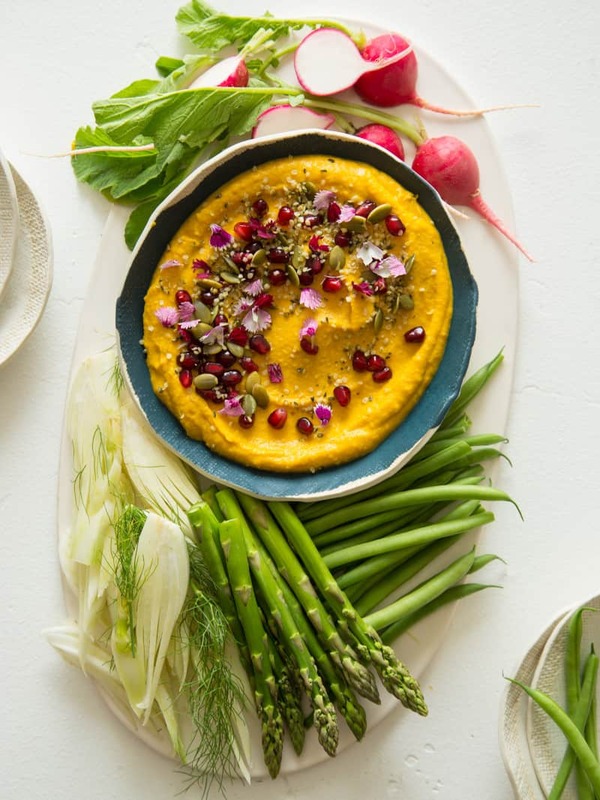 – ‘Tis the season for all things pumpkin so our second dip option is our Roasted Pumpkin Hummus! It’s thick, creamy and always hits the spot! 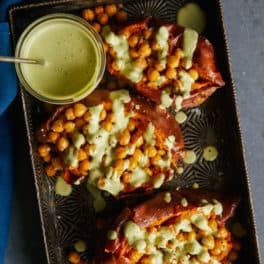 An added bonus is that this dish is vegan so a great option if you have guests that don’t consume animal products! 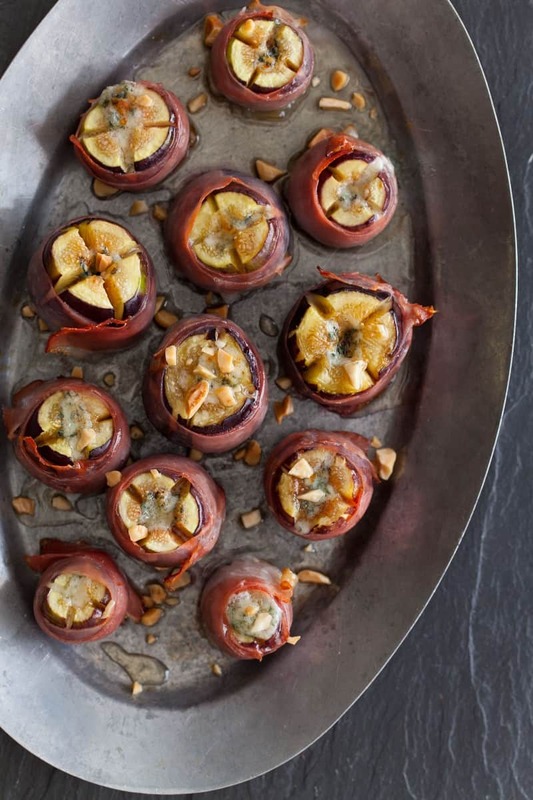 – Bleu Cheese Stuffed Figs are so addicting and take no time at all to whip up! 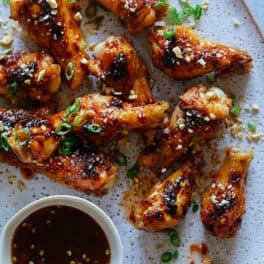 So easy for people to pick up with their hands and pop into their mouths! If you’re not into bleu cheese, goat cheese is a great alternative! – Finally, we have our Honey Brûlée Brie! 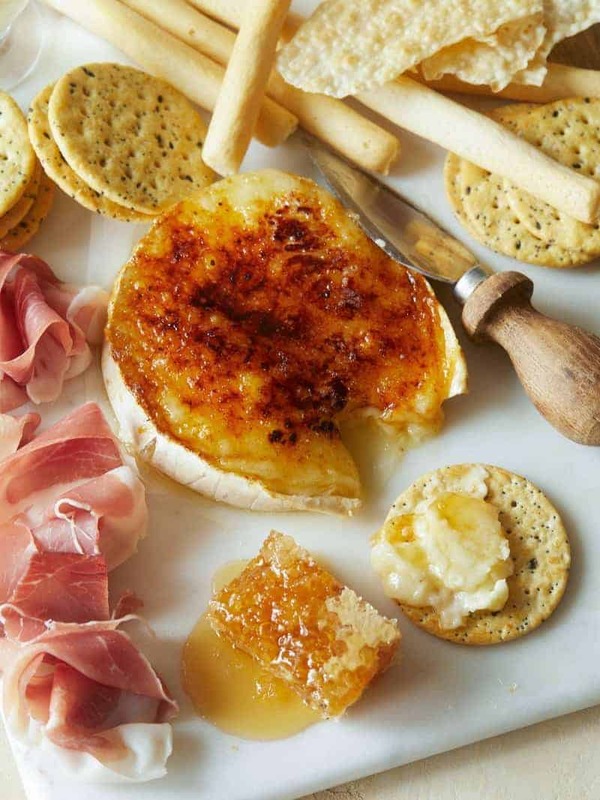 Who doesn’t love creamy, melty brie cheese? Why not take it a step further by slathering the top with honey and torching it to create a sweet, crackling top? You’re welcome. – Carb-loading is probably one of our favorite things to do on thanksgiving. 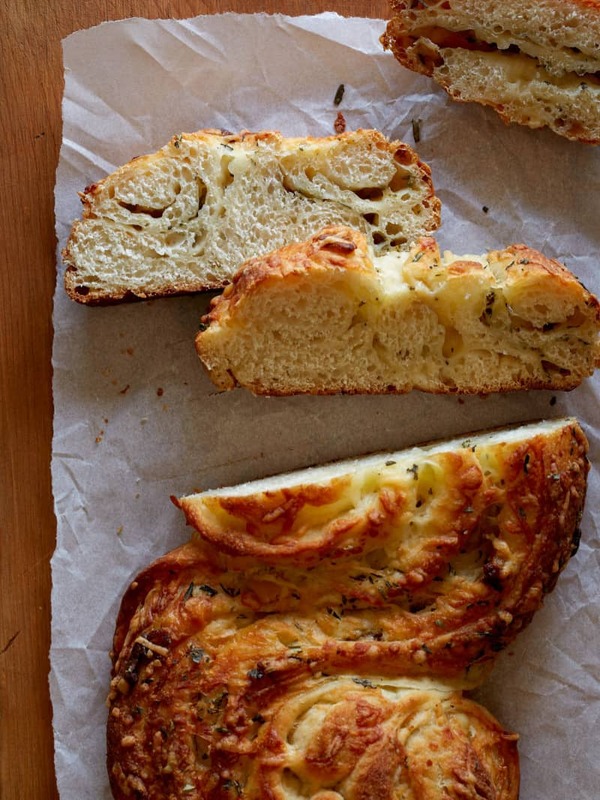 This Cheesy Roasted Garlic and Herb Pane Bianco is not only beautiful to look at, but really freaking tasty too! 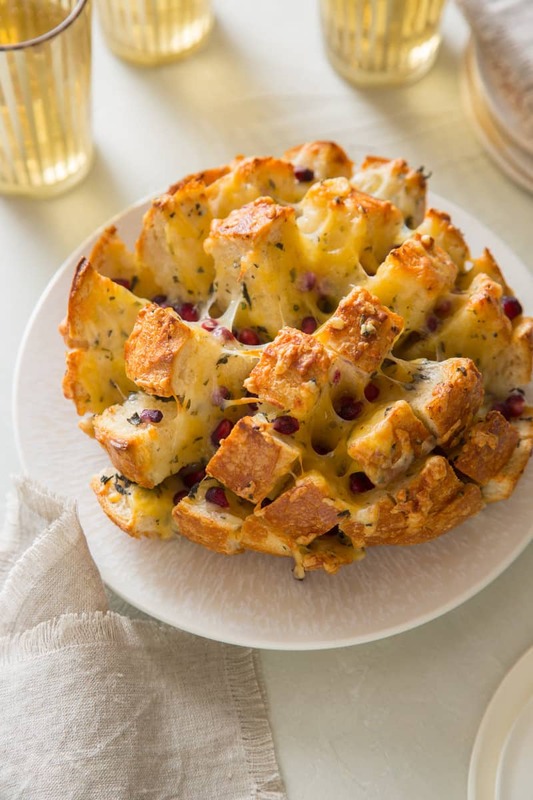 – This Herb and Pomegranate Pull Apart Bread is a great, sharable carb that allows everyone to just tear into it with their hands! 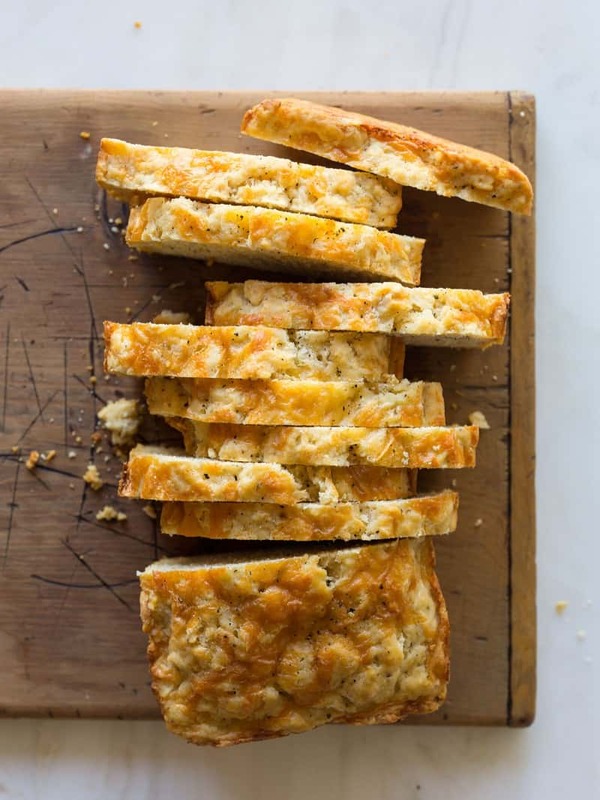 – Not only is this Black Pepper and Parmesan Beer Bread the easiest loaf of bread you’ll ever make, it’s great at sopping up everything off your plate, like a good slice of bread should. – We’re starting the sides with our Shaved Brussels Sprouts Salad! I love this savory salad so much. 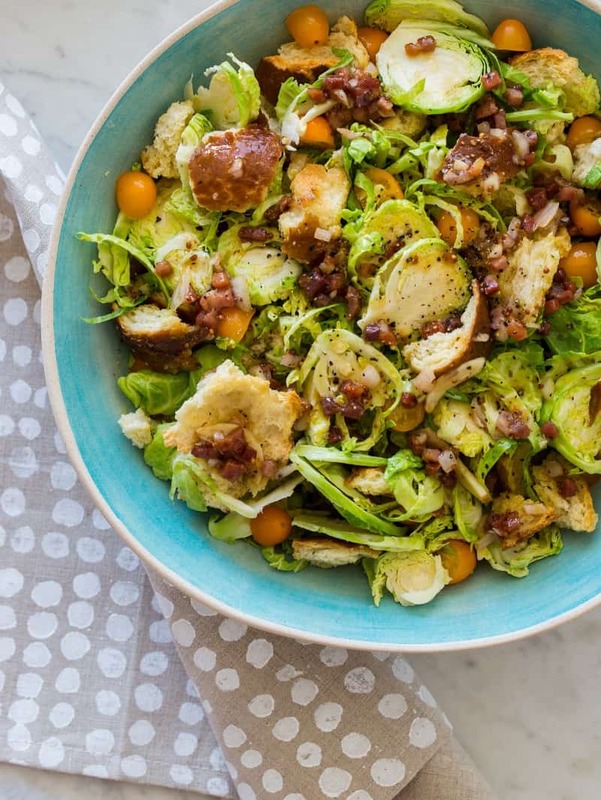 The crispy and salty pancetta, toasty pieces of pretzel bread and crunchy shaved brussels sprouts get toasted together in the most delicious mustard vinaigrette! 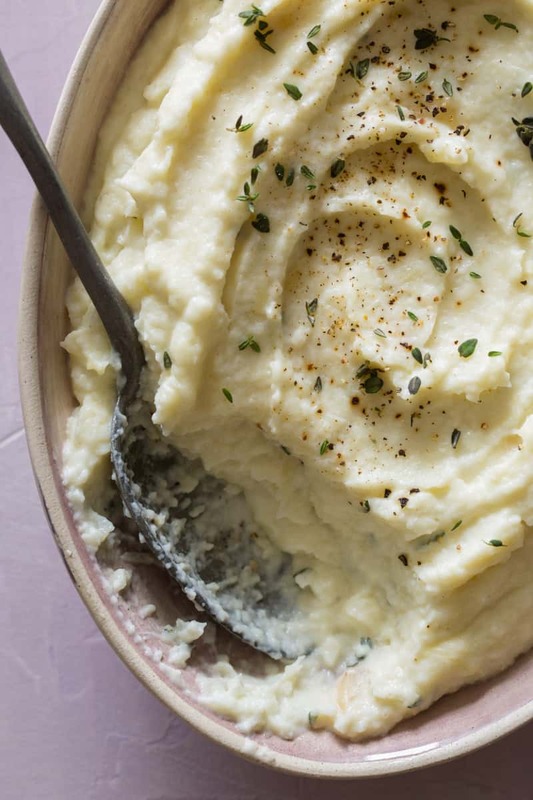 – Our Parsnip and Roasted Garlic Mash is the perfect alternative to mashed potatoes and a great vegetarian side dish. You can also swap out the butter and cream for vegan alternatives, resulting in an equally delicious, but animal-free option! 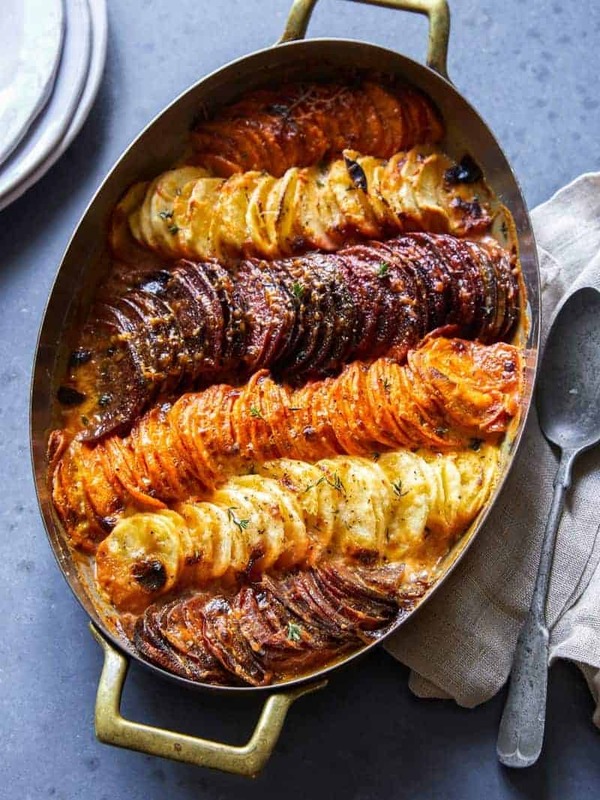 – Our Cheesy Root Vegetable Gratin is not only a stunner, but tastes just as delicious as it looks! 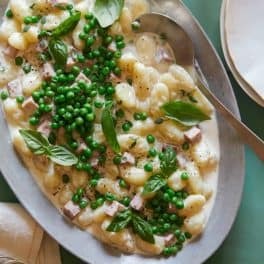 Filled with bubbling Parmesan and gruyere and super fragrant thyme, it’s one of our favorite side dishes ever! 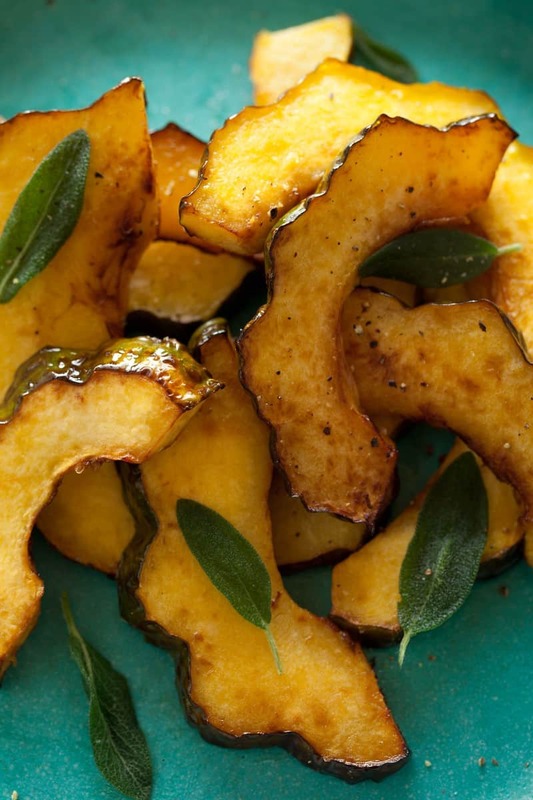 – Maple Glazed Roasted Acorn Squash is always a great addition to any thanksgiving table, and so easy to throw together. 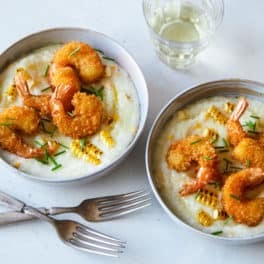 We love that it’s a delicious and beautiful dish that takes minimal effort; perfect for when you have an entire feast to plan and cook! – I have never been a ‘green bean casserole’ type of person. Probably because I was scarred from an elementary school cafeteria version made from canned everything, with an end result of some camo colored looking mush. Yikes. 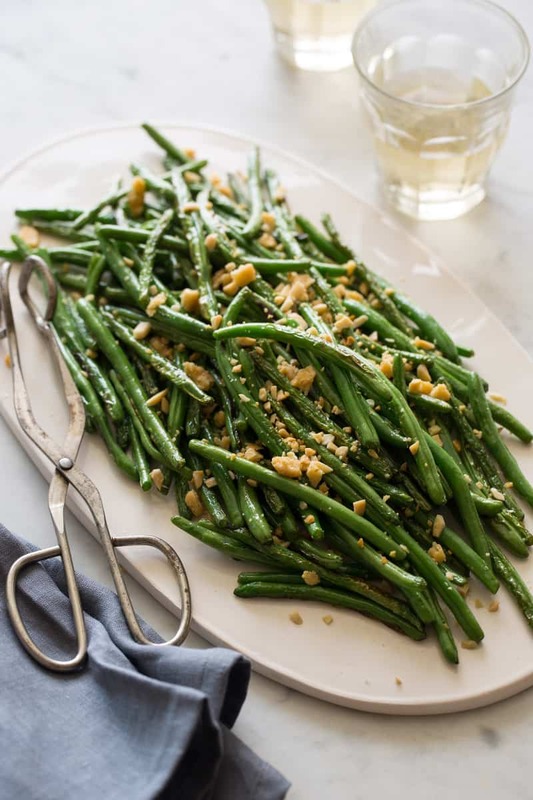 I do love fresh green beans though, so we have a simple Lightly Roasted Green Beans dish. 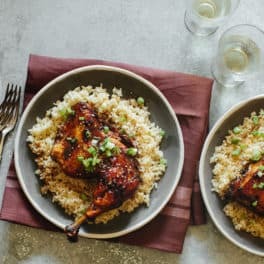 Not only does this dish add some much needed color to a typical brown and beige thanksgiving plate (lol), but it’s also really tasty. We’ve lightly roasted them to make sure they keep their bite and bright taste. 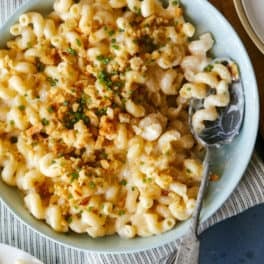 – We have TONS of mac and cheese recipes on the blog, but this classic, Creamy Stovetop Mac and Cheese has always been and will probably be one of our favorites. 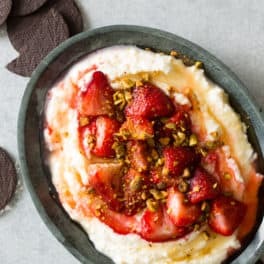 This no fuss, creamy concoction is something we want to face plant into every time it’s in front of us. So creamy and satisfying! 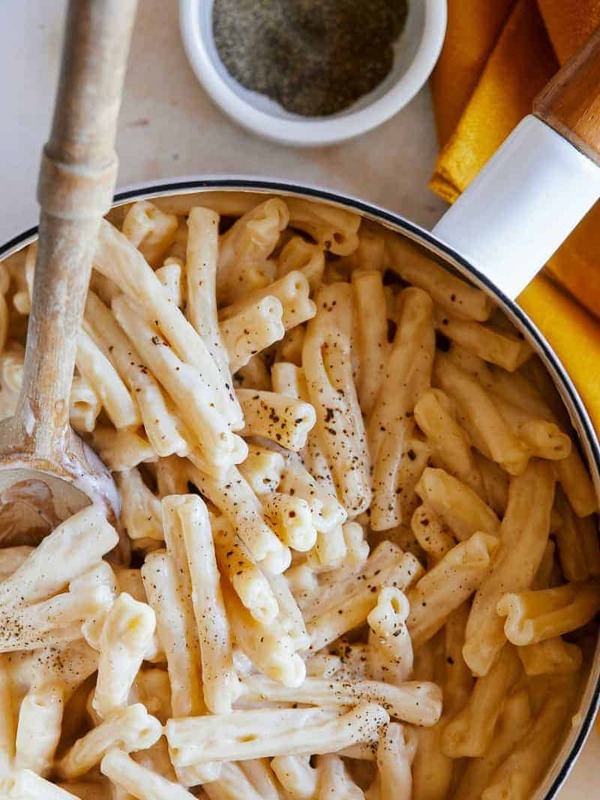 – Since we’re nuts about mac and cheese, especially the creamy stovetop version above, we thought it was only fair to create and equally creamy and delicious vegan friendly version. 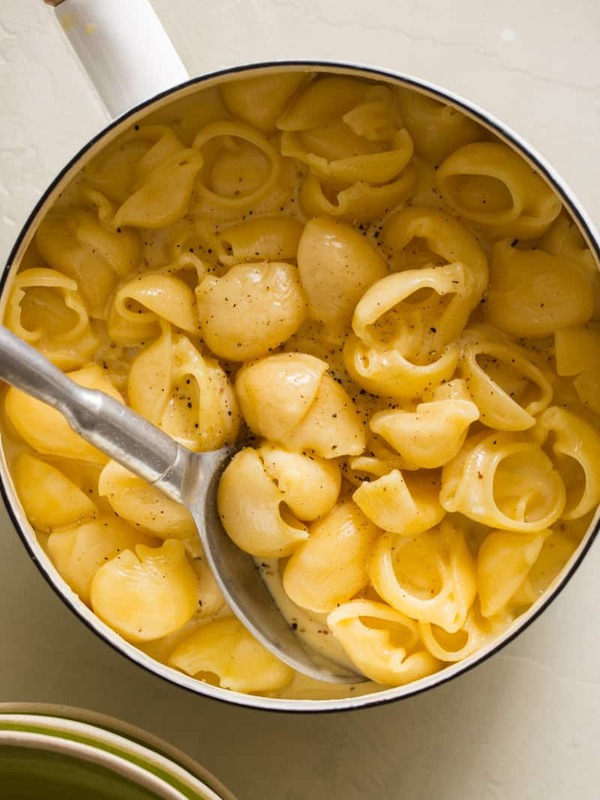 Enter our Vegan Stovetop Mac and Cheese. 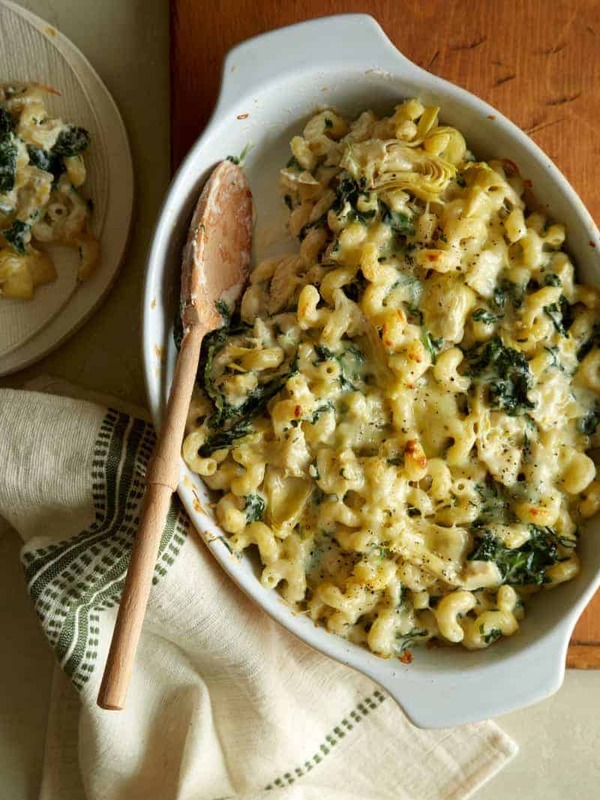 – If you want a ‘prep ahead of time’ mac and cheese dish that’s still super creamy and delicious, our Baked Spinach and Artichoke Mac and Cheese is LEGIT! – Stuffing is probably my favorite part of any thanksgiving meal. 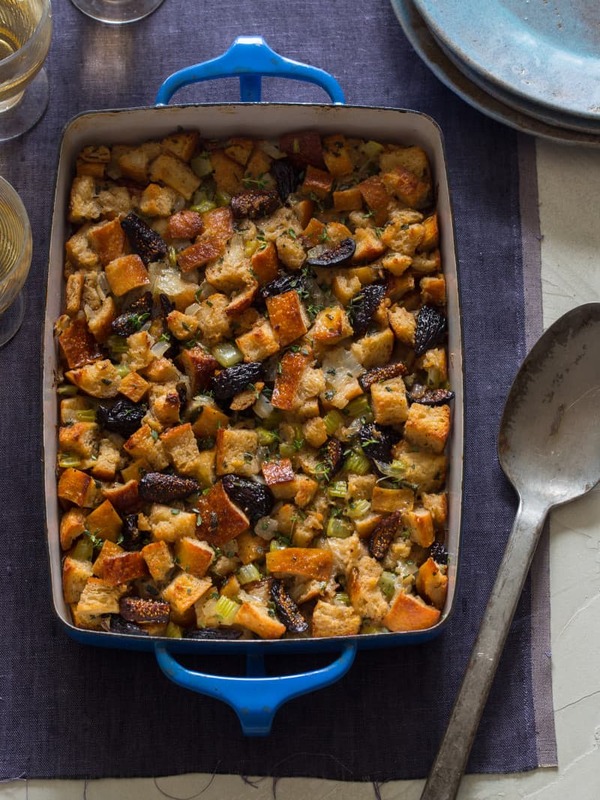 I love stuffing of all kinds, but one of my absolute favorites is this Fig, Herb and Sausage Stuffing. I promise you guys, this is SUCH a crowd pleaser. I can never make enough and it’s the first thing to go, ALWAYS! 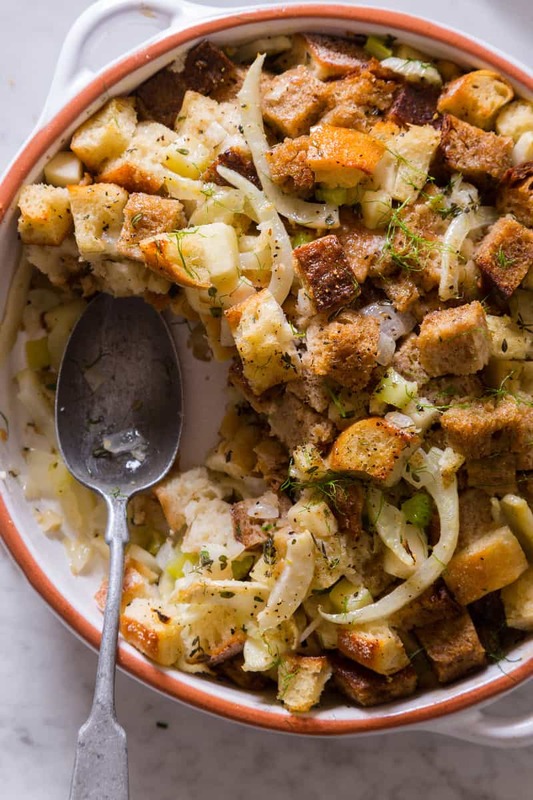 – Another stuffing very high on my list is this Apple and Fennel Stuffing. I love the combination of apple and fennel. The flavors balance each other out so nicely and just soak into aaalllll the bread. So good. 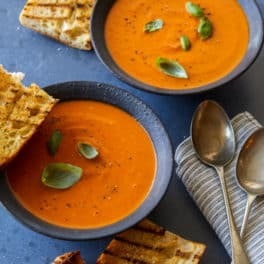 Swapping the butter out for a vegan alternative and using vegetable stock will make this vegetarian dish, vegan friendly! 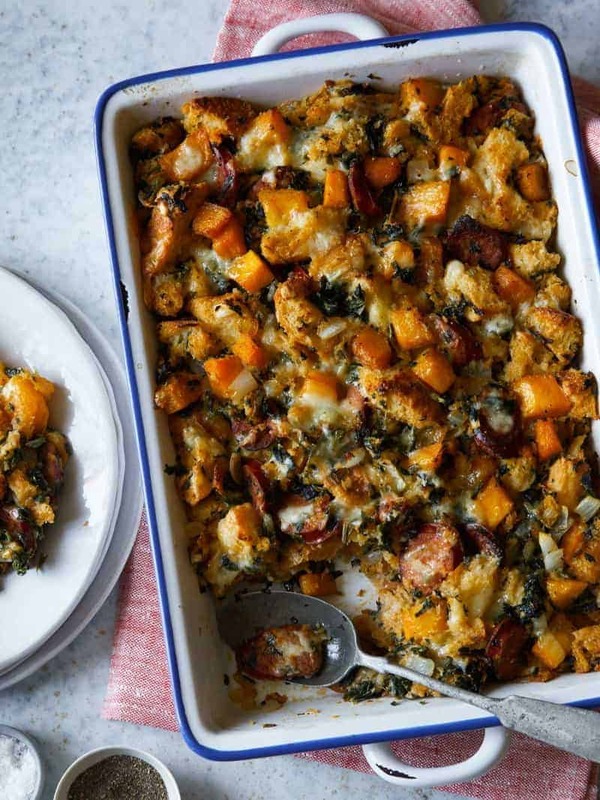 – Finally, we have our Butternut Squash, Andouille and Herb Stuffing. This is a new addition that we both love so much, and at least one of us, definitely plans to add this to our spread this year! 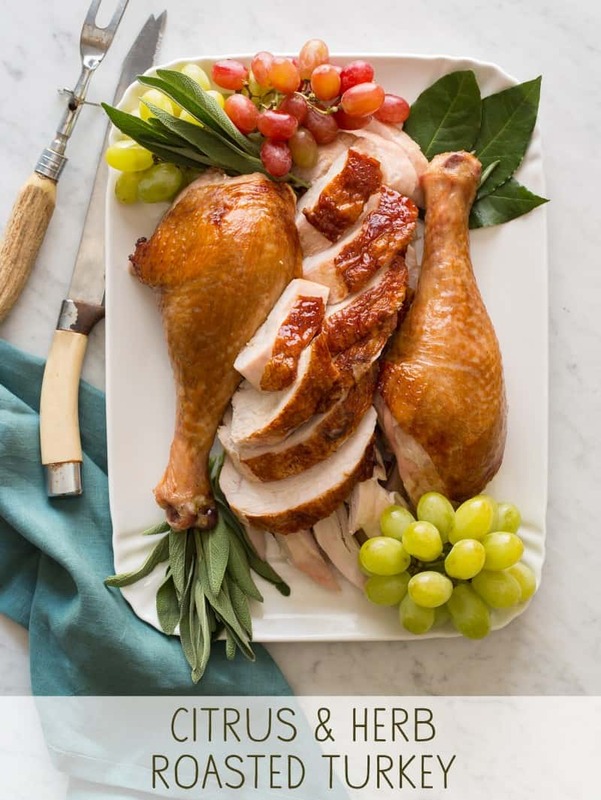 – Citrus and Herb Roasted Turkey is my go-to if I’m going the classic route for thanksgiving. I love the flavor this brine imparts into the meat, and the cooking method insures you have a very juicy bird, with nice and crispy skin. – Sometimes an entire turkey is too much, especially for a smaller gathering. If this is the case, most people opt to cook just the whole breast, but I don’t get that, because dark meat is where it’s at! 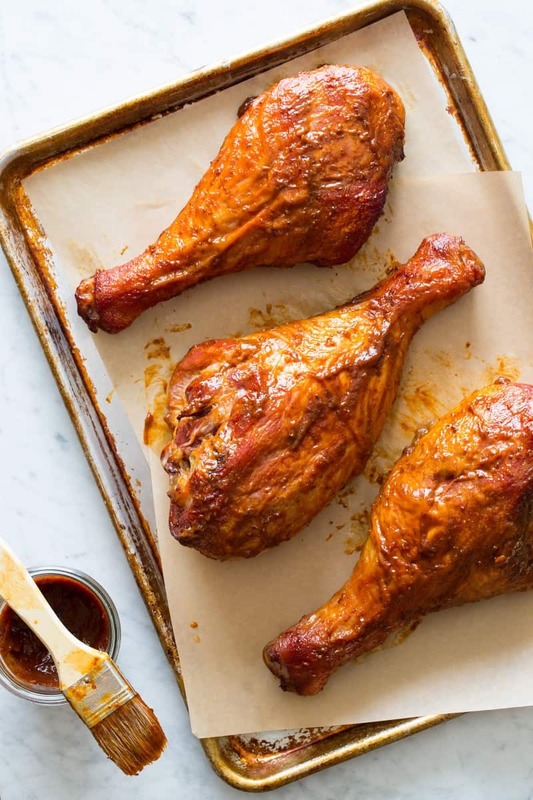 So, we have these BBQ Turkey Drumsticks as an alternative to cooking a whole turkey. They’re really delicious, everyone can look like a caveman eating them and they’re low maintenance! – Not a turkey person at all? 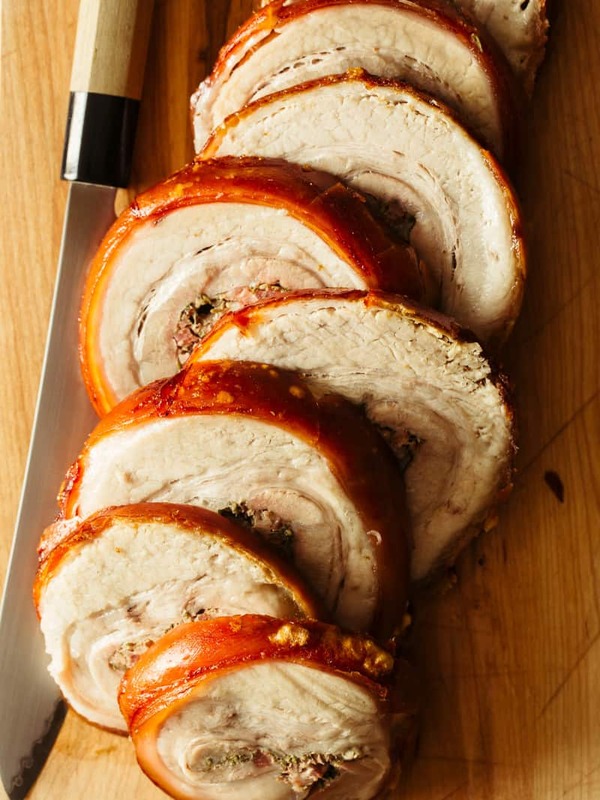 Then this Pork Belly Porchetta might just be for you! 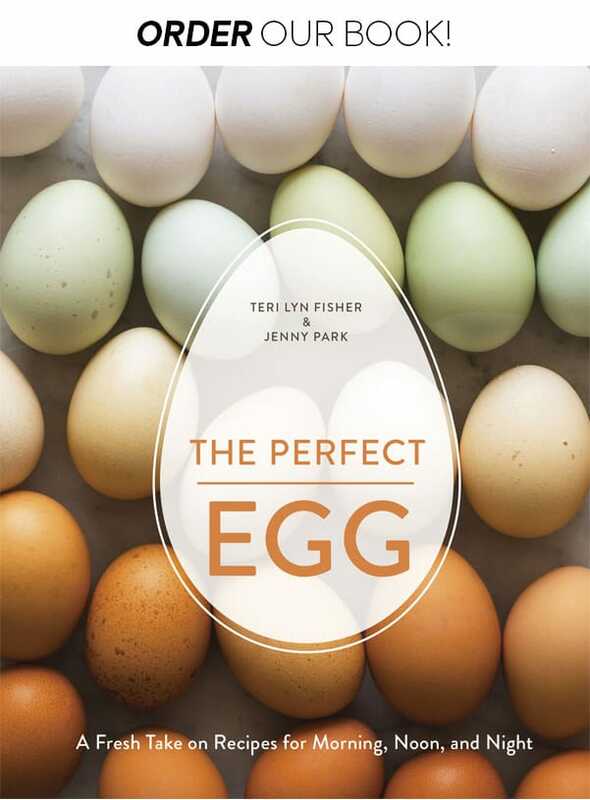 Surprisingly low maintenance and very delicious, this is the perfect entrée for any pork lover. 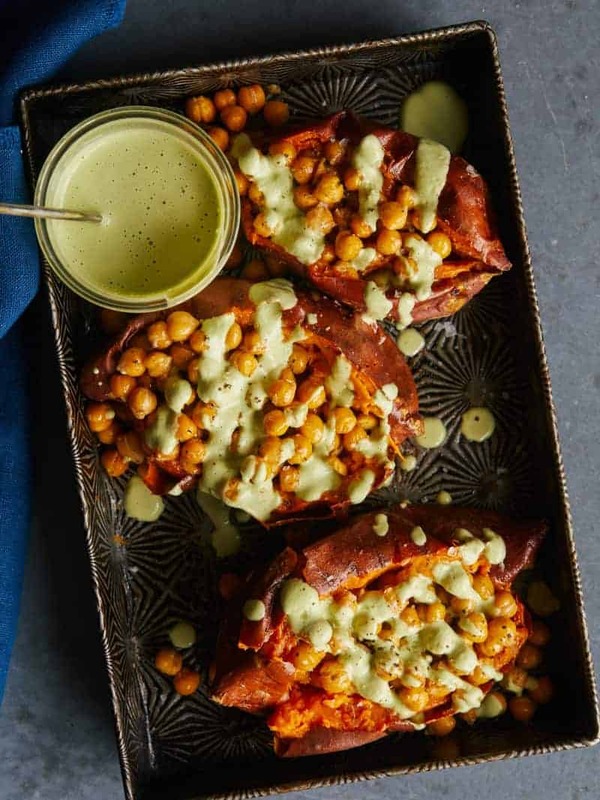 – Finally, we have our Roasted Chickpea Stuffed Sweet Potatoes with Cilantro-Garlic Cashew Sauce as a really great vegetarian and vegan option! 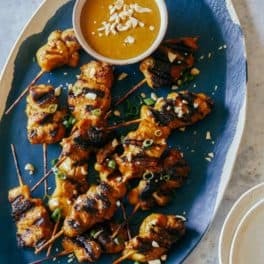 These sweet potatoes are so filling and one of my favorite meatless meals! – Even if everyone is ready to roll themselves home after thanksgiving dinner, people can and will always find some stomach space for dessert. Pies are all the rage, especially pumpkin, apple, pecan, and sweet potato, but we’re changing things up a bit with our French Silk Pie. 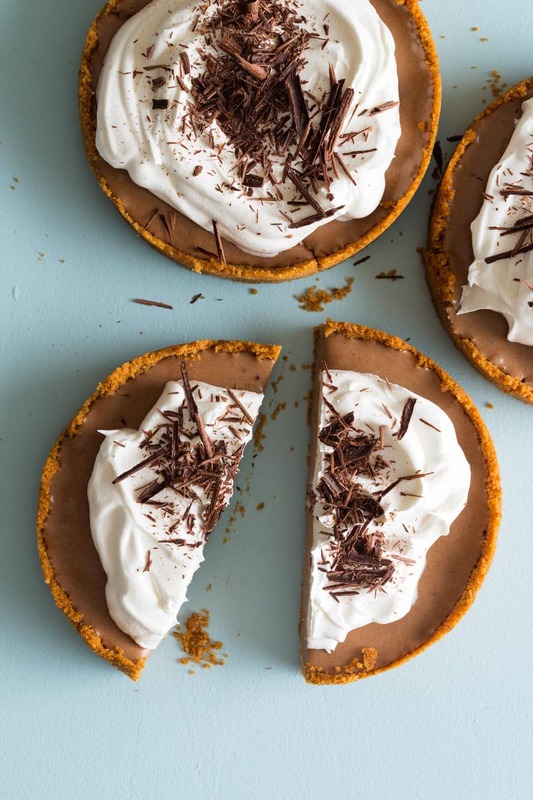 I love this lighter than air chocolate pie with a buttery and delicious graham cracker crust! 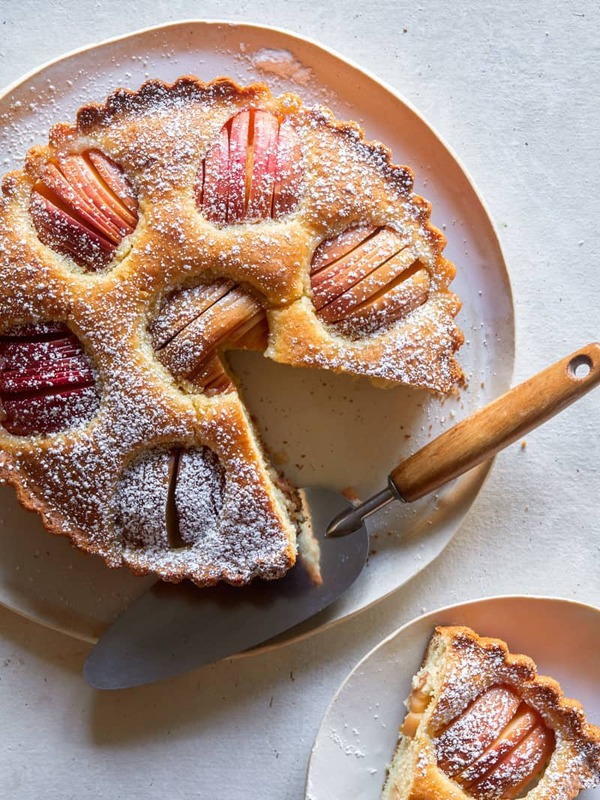 – This Sunken German Apple Cake is great pie alternative for thanksgiving dessert. Not only is it such a pretty dish, but so tasty, especially when served slightly warm. – Our Mini No Bake Pumpkin Crème Brulee are super fun because everyone gets their own adorable mini pumpkin; plus, the pumpkin infused custard is also, rich, not overly sweet and creamy. – Who says you can’t have cake on Thanksgiving? We think our Apple Cake with Chai Spiced Buttercream is the perfect cake to serve this holiday season. 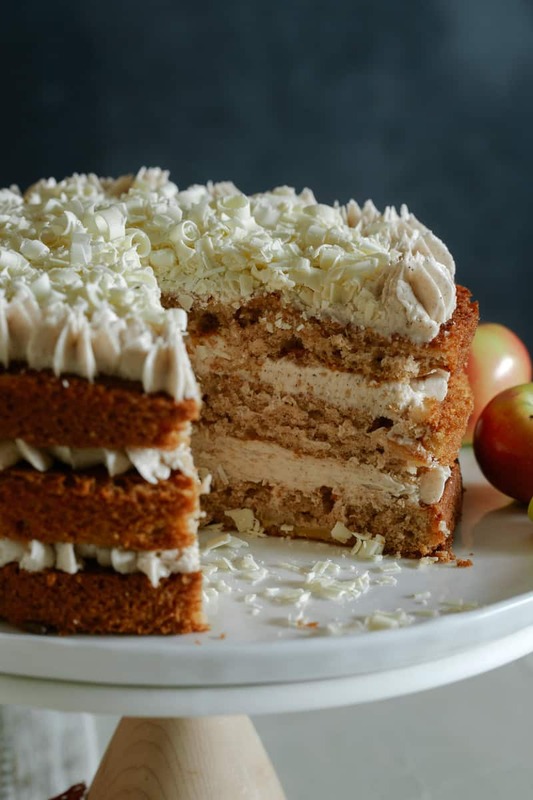 The bright flavor of chai cuts though some of the richness of the buttercream and compliments the apples in the cake quite well.